Today I'm over at 5 Minutes for Books talking about child discipline. It is true that I did not agree with everything in this book but equally true that I found the first part absolutely fascinating. It prompted good conversation between my husband and myself over what kind of parents we want to be. Conversation is good, so I'm not complaining. 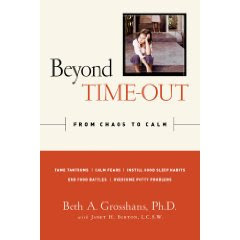 If you are a parent and have read or would read this book, I'd love to hear your thoughts on the first half.